Welcome to Anne Hobbs Tennis. I know what it's like to win and lose playing one of the greatest games in history. It is a passion that I will always have – the feeling of putting every ounce of energy and skill into a match against another individual. 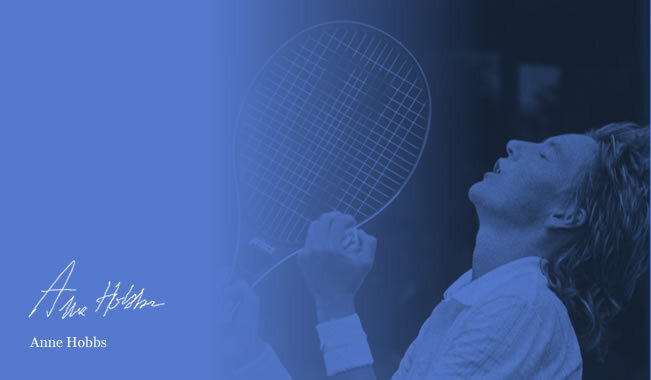 It is with pleasure that I offer my knowledge and expertise to you through individual lessons, doubles clinics, and specially designed consultation services. that passion for tennis come alive.